Many of us set out each new year to accomplish bigger and brighter things, to improve our way of life, and to simply be better than we were the previous year. Personally I didn’t make any specific resolutions; my goal is simply to be better today than I was yesterday. What goals did you make? And how’s it going so far? We’re 20 days into the new year, and I hope those have been 20 exciting and maybe even challenging days for you. Taking on goals like New Year’s resolutions can be a tough thing, but one of the key things to success is having someone to hold you accountable. Make sure that you have someone else along with you whether you want to be healthier, quit smoking, make new friends, or learn to drive the ball 300 yards. They don’t have to have the same goal, but they have to know what your goal is, and be willing to check your progress and poke you when you’re resting a little too much. Find that person if you don’t have them yet. They will help you keep moving forward. If you want to get healthier, if you want to make friends, or if you want to improve your golf game then let us be that accountability partner. We’re here nearly every day out of the year, and we would love to help you out. 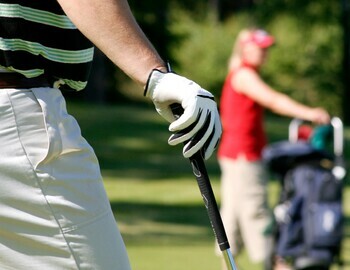 Golf is a game that can provide multiple opportunities for personal improvement. As one example, walking Fellows Creek this weekend would get you just shy of 4 miles during your 18 hole round—assuming straight shots every time—so give us a call to set up your tee time and continue toward your goal for a healthier you in 2017. Tee times can be made at 734.728.1300 or fellowscreekgolf.com/golf.